We use high-quality materials for our handmade products. The mirrors are manufactured step by step in our factory in Margo Glass Gallery following accurate processes. 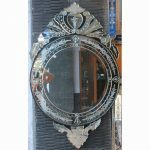 Buy Venetian Mirror Round MG 001034 with round style to wholesale from direct manufacturer provides a very special form. 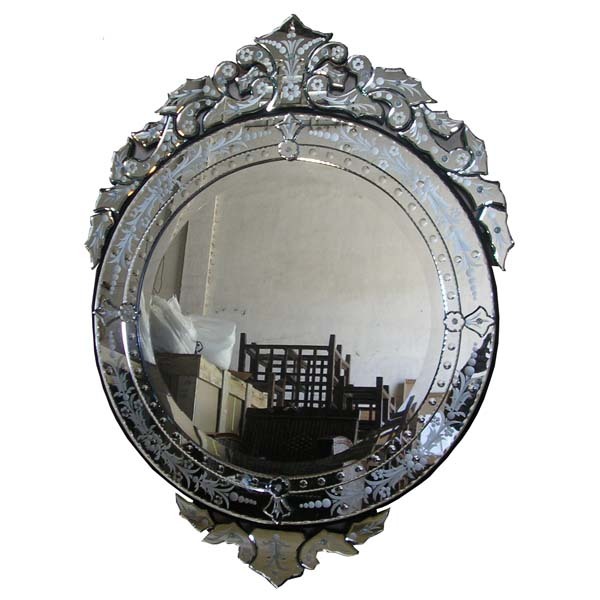 Venetian mirror was the art of carving by hand on a glass placed at the edge of the encircling mirror in the Center. 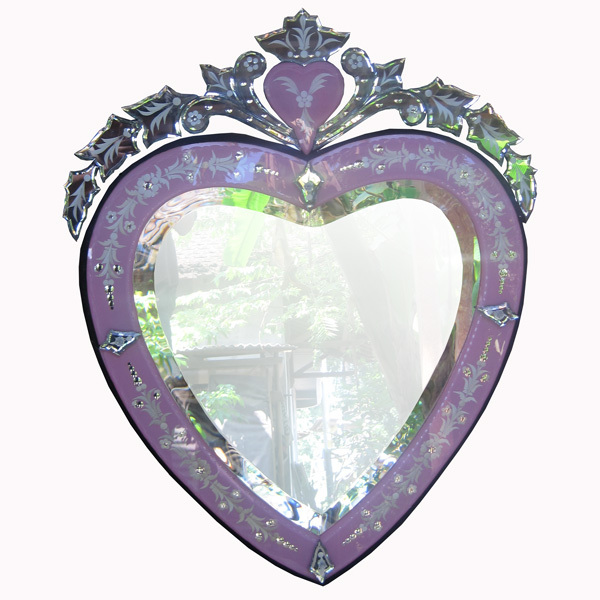 This part of the edge of glass carving is a color mirror and color engraving is silver. 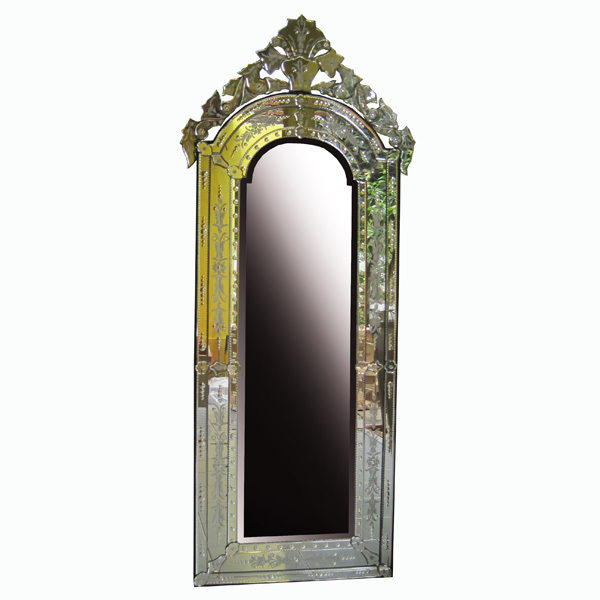 Beveled process at the edge of each section makes the display Venetian mirrors the more elegant. 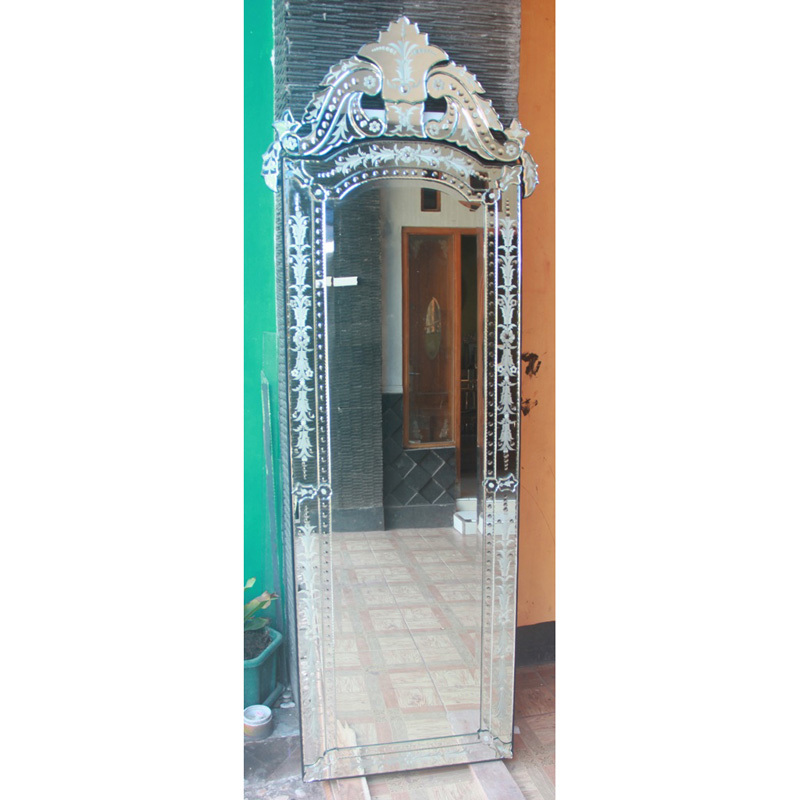 In addition in Living room mirror motif is also good hang vertically in the living room. The glass is with a thickness of 5 mm glass and on the work done by experts who are experienced in decades. 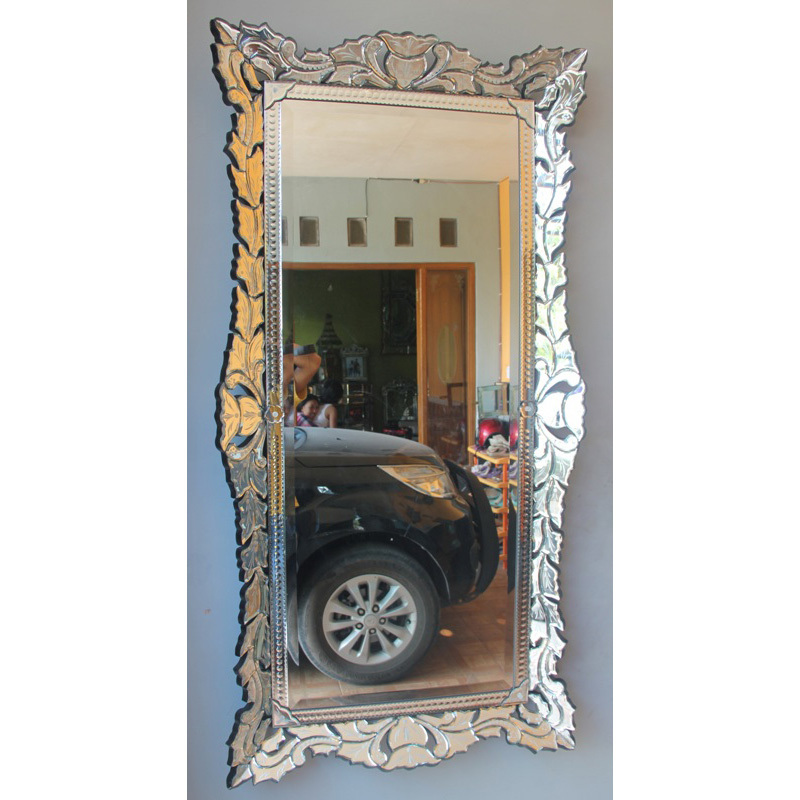 The measured of the fitting to the middle of the mirror is able to reflect and blend with the wood furniture. By giving the console underneath will fine-tune your interior design, because this type of glass is easy to blend with other interior decoration. 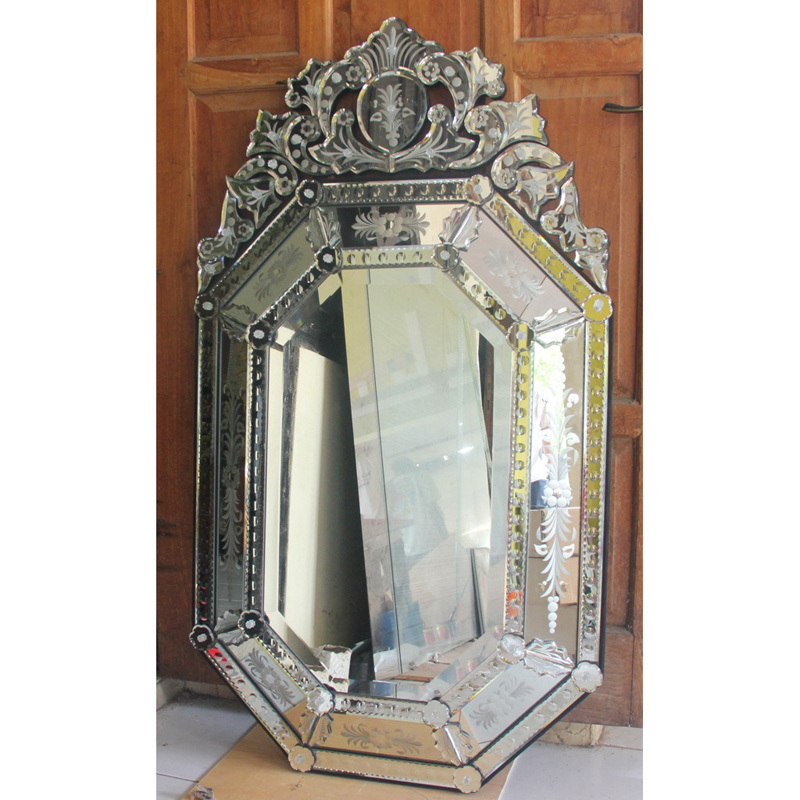 Mirror is also very suitable for just a decorative mirror. 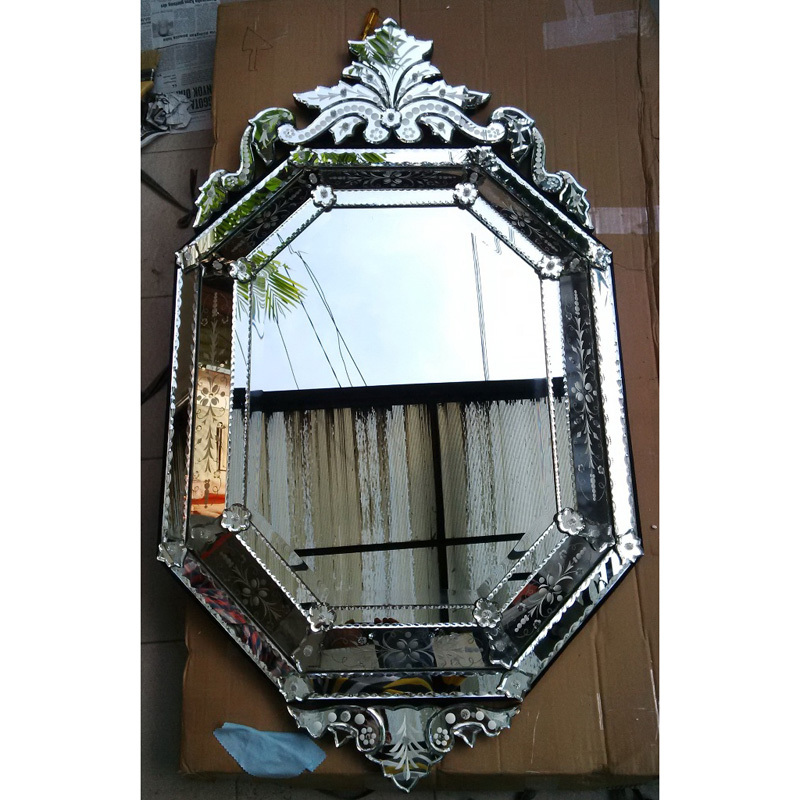 Package Mirror: Mirror is safe for shipping because, while the back of frames using block board 18 mm and finish is black paint. While the notion of packing is plastic bubble wrap pack with each round side Frameless mirror clipped by Styrofoam 2 cm and put double carton box and protect by wood in the package. 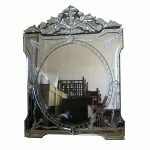 Therefore, your interior need is indulge so let contact us for Venetian mirror for sale and we do not have minimum order and receive consultations to fine-tune the beauty of your room. Other Elegant, In addition, it can affect the reflection of lights make room brighter.